Designers gathered at screening venues across Canada on January 31, 2017 to participate in the Association of Registered Graphic Designers (RGD)’s panel discussion on “The Future Designer” with Margot Bloomstein, principal at Appropriate Inc., Matteo Bologna, founding partner and principal at Mucca Design, and YuJune Park, director of BFA Communication Design Program at Parsons School of Design. Duane Bray, partner and global head of talent at IDEO New York, moderated the discussion. There is no one path in photography or photojournalism. A year ago, almost no one expected ever to say the words: President Donald Trump. But Conrad Black has known the new president for 25 years, and well before Trump even took the stage as the Republican nominee, Black wrote – back in March of 2016 – that Trump ,seems to have become the man whom the great office of president of the United States now seeks., What did he know that so few others did? Studin interview this coming weekend with CBC Radio’s “The 180” with Jim Brown, on why the Trump period means that Canada should “think for itself”. __BCcampus buried the lede, is starting to add Versioning History pages as updated versions of textbooks are added to the collection or when corrections are made. As of today, we now have 173 open textbooks in 8 main and 36 secondary subject areas in the BC Open Textbook Collection. New titles are being adapted and adopted often – here are the 5 latest open textbooks that we’ve added to the collection since the beginning of the year. Updated: Principles of Marketing – NOTE: This book was updated on January 20, 2017. Any reviews posted before this date are based on the older edition of this textbook. 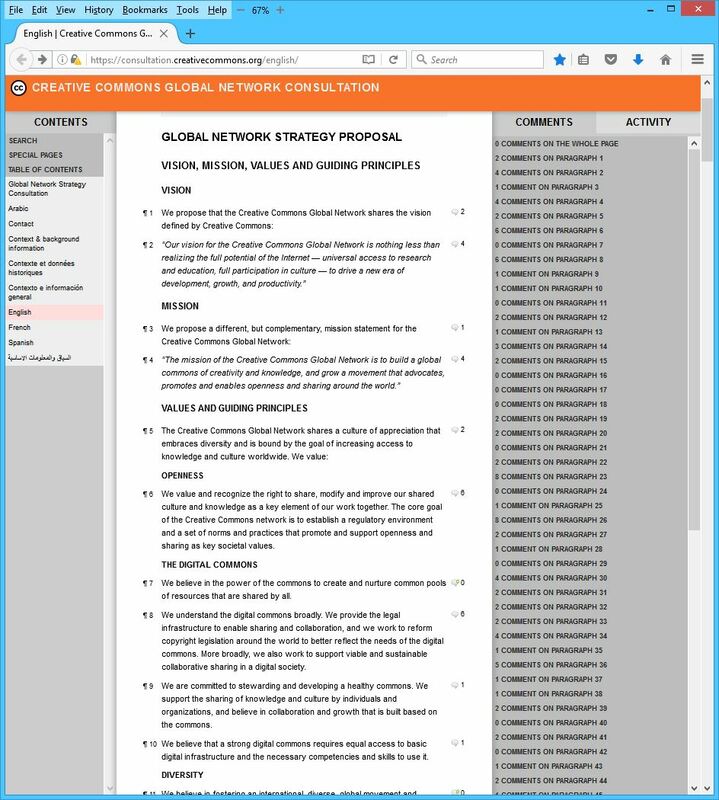 Plus, we are starting to add Versioning History pages as updated versions of textbooks are added to the collection or when corrections are made. __”Average tuition in Ontario is $8,114 and our respondents reported spending an average of $540 on textbooks and course packs; that’s about $8,650 minimum per academic year.” _ Going forward, the government should focus its policy efforts on improving assistance programs for Students with low family incomes and Students with dependents, married Students, and part-time Students. We sat down with Seth Godin, the godfather of modern marketing, to get his take on the present and future of content marketing. Director Thomas P. Campbell announces a major update to the Museum’s policy governing the use and reuse of images in our collection. Use this prototype to find images that you can use and remix across several open archives. Give us your feedback to help us design a front door to the commons. __The Campaign should focus on motivating Creators to use the CC Search Tool to show them the problems one has finding their existing online creative works – to help them identify the missing info, EXIF data and tags and to motivate-help them go back to add the required metadata to this existing work. The goal is to enable discovery of all © and CC creative work that is available online via a filtered Google search. SUPERBOWL ADS – The most honest Superbowl ad analysis I’ve seen yet. Cards Against Humanity purchased a Super Bowl ad, but it was not successful. __Is the defining feature of open pedagogy “all activities that open up access to educational opportunity [via] online content and services” [Helen Beetham] _ https://lnkd.in/gFR-J7k _ https://lnkd.in/gv8KHeq _ Clint Lalonde – This is excellent. Thanks Don. __A very insightful discussion about protocol in using ‘Open’ as a modifier in a 5R’s Open Community. . . per comments: “I do think we need to reserve the use of the term “open” to refer to practices that bestow the 5R permissions _ Your warning about reserving open in education is for 5R activities is a valid point” _ Defining terms is important, but one I find fraught with both benefits and challenges _ So, while I agree that 5R’s are an important piece of open pedagogy (helps clarify), I worry that it then starts to restrict activities that, I think, are open pedagogy. The environmental advantage of paperboard packaging is creating more demand. My friend Jim Gelcer and I are crowdfunding an album featuring jazz versions of Beethoven’s music that was played and loved by Glenn Gould. Click the link for details! February 1, 2017 –Today CERC announced the completion of its merger with CPC, combining Canada’s largest K-12 publishers with their counterparts in Higher Education to create a powerful voice for Canada’s Educational Publishing sector across K-20, at a critical time for the sector. Since its formation in 1996, CERC has been a crucial voice for the creators of Canadian classroom resources for students and teachers in the Elementary and Secondary School system in Canada. Its member firms account for some 80 percent of the curriculum-based learning resources purchased each year across the country. CERC has worked closely with provincial and school board authorities to ensure that K-12 students continue to have access to high quality, Canadian-developed learning materials in both print and digital formats. CPC, founded in 1910, represents major Trade, Professional and Higher Education publishers in Canada. Its members produce the majority of resources that serve the Post-Secondary, Consumer and Professional markets in Canada, supporting over eight thousand authors and providing more than $36 Million in royalties to Canadian creators each year. “We are very excited to welcome CERC to the CPC organization. CERC and CPC merging will help us streamline our administrative efforts so we can focus more energy and resources on telling the story of how much our members contribute, both to the sector and economy, but as importantly to Canadian classrooms,” said Kevin Hanson, President of CPC and President of Simon & Schuster Canada. Fear and anxiety can keep many educators from embracing open educational resources and open pedagogy. Here, “open” proponents explain common concerns. Webinar Series: Open Education Stories from Across B.C. 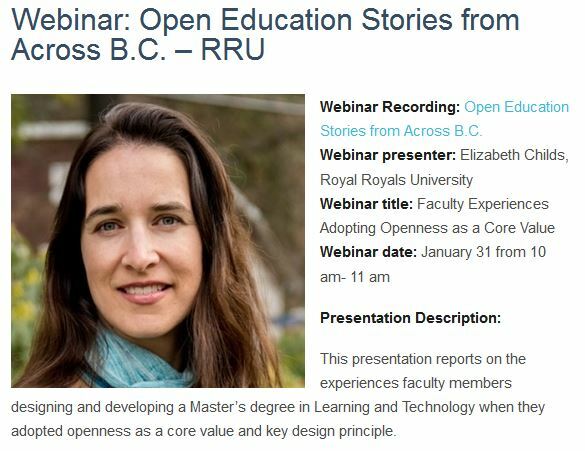 Webinar presenter: Elizabeth Childs, Royal Royals University Webinar title: This presentation reports on the experiences faculty members designing and developing a Master’s degree in Learning and Technology when they adopted openness as a core value and key design principle. Is ‘Inclusive Access’ the Future for Publishers? Textbooks aren’t selling like they used to, but a new business model that has led to increased access to course materials and lower costs at some universities is beginning to take shape. Students at Maricopa Community Colleges (MCC) in Arizona have done just as well academically with open educational resources (OER) as with traditional, high-priced textbooks. This is not the final proposal. It requires review, comments, and suggestions. Consultation will take place from mid-January to mid-March 2017. Ideas are welcome from current affiliates, partners, supporters, and more — we want to hear from our current network, but also from those who might join us in a new expanded model. 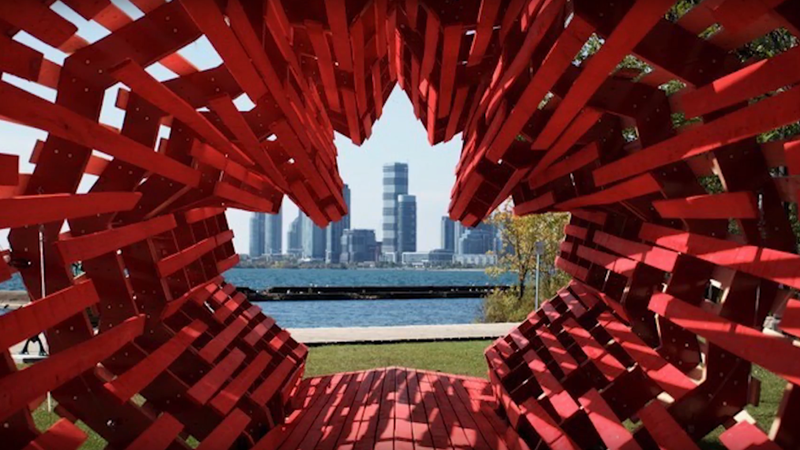 Digital transformation continues to radically change the face of business in Canada. The advent of the collaborative economy, the rise of advanced robotics, the adoption of blockchain in financial services, and advances in autonomous cars are all a manifestation of the innovative nature of the global digital landscape. These innovations are ushering in a new era of convenience, affordability, and responsiveness that are expected to significantly disrupt traditional markets in the coming years. This accelerated wave of business transformation, however, comes amidst signs of interest rate hikes, changing global trade landscape, and heightening demand for skilled digital talent. In this dynamic environment, ICTC continues to drive a forward looking digital agenda for Canada by delivering advanced research and labour market forecasts, innovative talent programs, and evidence-based policies that chart a path forward for Canada in the global economy. The fund was officially launched today at an announcement at Conestoga College. It is part of the Ontario government’s Business Growth Initiative and will be coordinated through a partnership between the Ontario Centres of Excellence (OCE), Colleges Ontario and the Ministry of Research, Innovation and Science (MRIS). McGraw-Hill Education, a learning science company, today announced the launch of Connect2, an innovative new course design, management and delivery solution for higher education instructors. Initially available outside of the United States, Connect2 offers instructors a complete, fully customizable course framework to build and manage their courses, together with advanced data analytics and a dynamic adaptive learning system for students. Connect2 offers pre-built, customizable courses to make the course-building process more effective and less time-consuming for instructors, with a personalized learning environment for students. The LearnLaunch Across Boundaries conference, now in it’s 5th year, brings together an edtech community – from New England and beyond – interested in driving innovation to transform learning and increase achievement using digital technologies. Educators, education administrators, entrepreneurs, investors, education companies, and technology innovators are all part of the community that attends this yearly event to authentically learn, educate others, and discuss the burning questions of the day. ATLANTA, Jan. 24, 2017 /PRNewswire/ — Authentica Solutions announced today that it has acquired PIP Learning Technologies, a Trust Platform® and Single Sign-On Company. PIP Learning Technologies was part of the 4th cohort of startups in LearnLaunch, a premier EdTech accelerator based in Boston, MA. The Trust Platform® is an online platform for schools that helps protect student privacy online. The platform helps districts manage access to sensitive data as well as connect educators to online applications. Will a new business model accelerate the digital revolution in course materials? the momentum behind the new Inclusive Access model is palpable, and solutions to help institutions streamline Inclusive Access are already emerging. Moreover, campus stores have entered the scene to provide much needed course materials expertise, working with publishers to ensure pricing represents significant savings to students and facilitating the Department of Education’s opt-out provisions. With the right combination of market incentives and strategic partnerships in place, Inclusive Access looks to have a promising future. 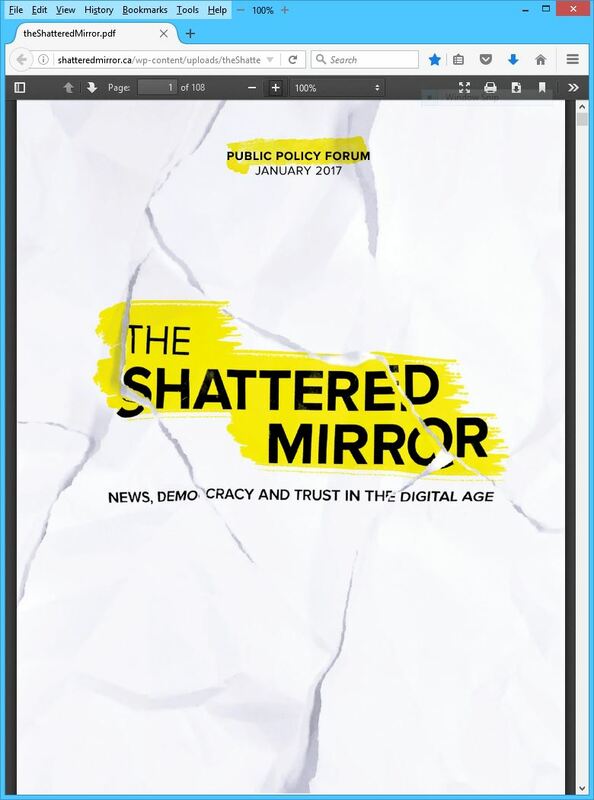 It’s a well-worn observation that popular demand for digital music and news media precipitated new business models. The course materials market may soon reverse the polarity, with a new business model finally facilitating the digital revolution. D2L, which has helped transform learning for people all over the world, announces that the University of Ottawa—the world’s largest bilingual school (French-English) with more than 42,000 students—has chosen Brightspace as its new learning management system (LMS). Brightspace was selected to support the university’s vision of offering the most advanced next-generation digital learning environment (NGDLE), designed to meet the modern demands of today’s students and instructors. D2L now supports more than half of Canada’s research-intensive universities. In the world of academia, knowledge is a commodity with rising costs — that much is evident within the University of Calgary’s libraries collections. This year, the U of C’s libraries and cultural resources department has cancelled academic journal subscriptions valued at $1.5 million. The cancellations include roughly 1,600 academic resources, including 887 journals from prominent Taylor & Francis bundles. The reveal of the cancelled subscriptions — several hundred of which went into effect on Jan. 1 — sparked anger from some U of C faculty members. Miller said the journal cancellations will make it harder for U of C faculty members to perform their research. Cambridge University Press is delighted to support Academic Book Week 2017 for the second year running. This year focuses on championing innovation in publishing and to celebrate we have picked 20 award-winning books which you can read here for free throughout Academic Book Week. __David Wiley, OER evangelist / marketer, Blogs his Thoughts on Cengage’s MindTap ACE _By design, David’s messages build tension with a premise, ‘Open is Good & © is Bad’, and a creative marketing opportunity to introduce a novel meme into followers’ consciousness [MindTap ACE is an OER vaccine] _ am fascinated by this mission, his stairway to . . .
__Thoughts on Cengage’s MindTap ACE by david on January 18, 2017 _ https://opencontent.org/blog/archives/4882 _ Cengage recently announced a new offering called MindTap ACE that includes OER and is now available in pilot. I haven’t had access to review the offering yet, but you can see some screenshots in the video linked above. 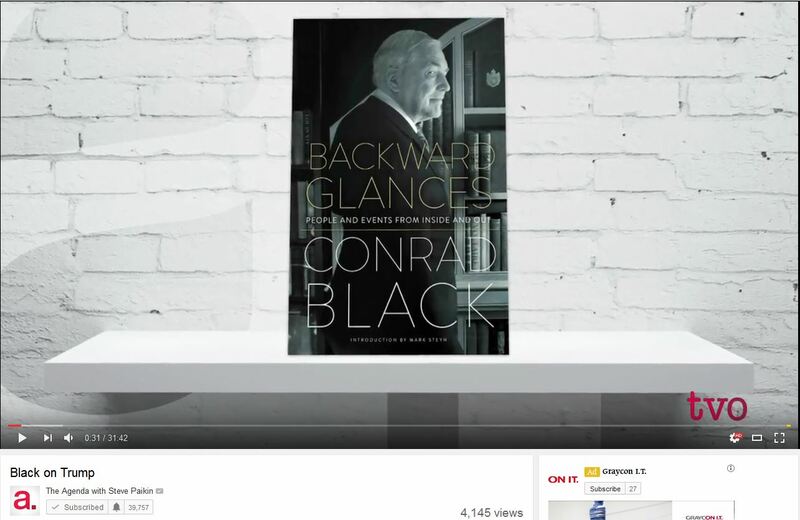 The video clearly shows Cengage content listed for each topic, followed by some OER. RGD’s case studies highlight the thought, research and insight involved in developing a project, providing details on challenges, solutions and results that often occur through the design process. By establishing an archive of case studies that cover a wide range of projects, RGD’s goal is to build understanding and respect for the role of design in business and put a spotlight on the specific objectives and deliverables that can be addressed through the power of design. Pallante headed the U.S. Copyright Office from June 1, 2011 – October 29, 2016. In particular, I wanted to write a ‘farewell’ book that would try to capture my expertise for those who might benefit from 40 years of teaching online and at a distance. I completed that book, Teaching in a Digital Age, almost exactly a year later, in April, 2015. I realised that this might entail some follow-up, such as appearances at conferences or webinars to publicize the book, but that ought to be over by the end of 2015. 2016 would be the year to finally let go, play lots of golf, travel with my wife and fix all the things around the house that I’ve been putting off for years. So how is that going? . . .
Curriculum Associates may be the most important EdTech success story you don’t know about. It’s headquartered in North Billerica, Massachusetts, not in Silicon Valley. The former workbook publisher has never taken venture capital, instead bootstrapping an adaptive learning business from scratch. In four years, the company has grown into a $190 million blended learning giant. They extended their impact exponentially while traditional publishers shrank each year. Ageism. Advertising’s other dirty secret. Buck the trend. Hire those over 45 and you will win in the long run. Here’s why. The high cost of post secondary textbooks is hurrying the advent of free textbooks though the online model of open educational resources (OER). On Thursday and Friday of last week Maxwell Nicholson, the campaign and community relations director of the University of Victoria Student Society, and UVSS director at large Carl Haynes greeted students with their #Textbookbroke promotion as they exited the UVic Bookstore. Students could post the dollar amount from their purchase on a whiteboard and pose with it on social media for a chance to win $300 towards textbooks. “We’re trying to raise awareness of the malpractice of how [textbook] publishers stifle competition to protect profits, forcing students to lose tons of money from an unnecessary update,” Nicholson said. I often feel lonely fighting for attribution for photos openly shared for reuse under Creative Commons licenses. Beyond advocating to a level of boring people, I have built a simple browser bookmarklet tool that makes the process of getting an attribution statement for web sites a simple cut and paste operation. It’s more or less something I made for myself, because the round trip from flickr to my blog editor was about a 6 step round trip of cut and paste, and often I was not consistent. Executive SummaryTextbooks are one of the most widely used educational inputs, but remarkably little is known about their effects on student learning. This report uses data collected from elementary schools in California to estimate the impacts of mathematics textbook choices on student achievement. We study four of the most popular books in the state from 2008-2013 and find that one—Houghton Mifflin California Math—consistently outperforms the other three. The superior performance of California Math persists up to four years after adoption and shows up in grades 3, 4, and 5. The textbook impacts we identify are educationally meaningful and come at an extremely low cost. . .
Last month we presented two explainer videos on the growing usage of course exchanges, where multiple institutions pool resources in creating or extending online courses. If online courses or programs breaks down the barriers of campus walls and enables anytime, anywhere education, then why not explore how collaboration can open up access and improve quality. 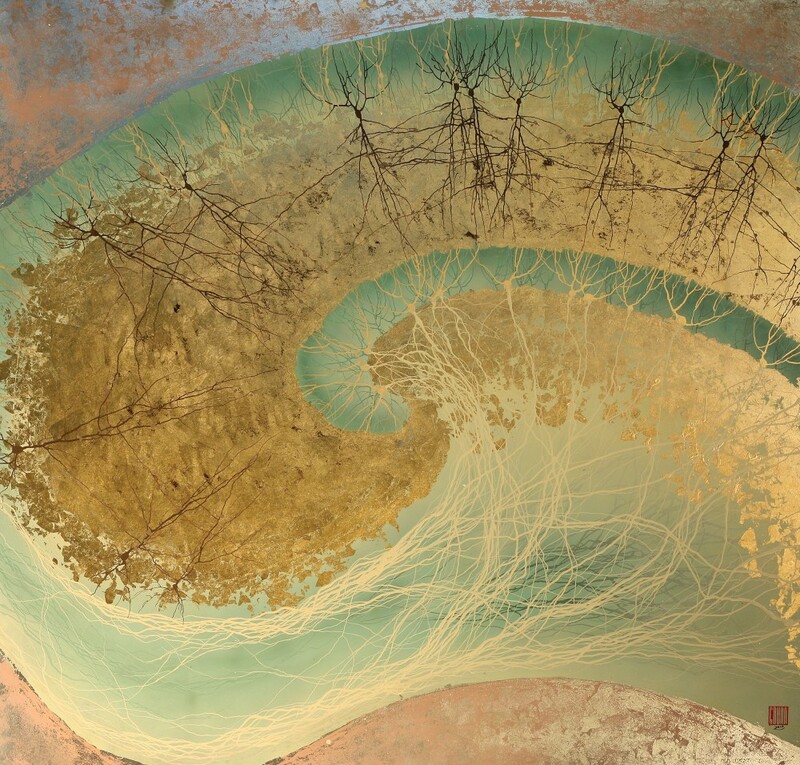 While we tend to not write e-Literate about our consulting work through MindWires, in this case we have heard a general interest from other systems to learn more about what the California Online Education Initiative (OEI) at the community college system is doing. Scientific progress and collaboration benefit from an early and continuing commitment to the establishment, description, curation, maintenance, validation, discoverability, accessibility, and distribution of scientific data. Scientific data should be openly accessible to the extent permitted by law and subject to privacy, confidentiality, security, and other appropriate restrictions (e.g., recognizing proprietary interests, business confidential information, and intellectual property rights). Government-supported scientific data should be available without charge whenever feasible. Partners in international science and technology cooperative activities should establish a data management plan at project initiation that considers the full data lifecycle for scientific data. Federal agencies should encourage technical and legal interoperability to facilitate international sharing of scientific data, using compatible, publicly available and open source formats. Government-supported scientific data (and publications) should be made openly available as early as possible, with the timing of release and the duration of any exclusive-use period explicitly defined. Federal agencies should work with international science and technology partners to adopt policies and data standards that encourage open sharing of data for collaborative activities. The IPA has added its voice to those of the Union of Quebec Writers and Writers (UNEQ), the Canadian National Association of Book Publishers (ANEL) and the International Federation of Reproduction Rights Organizations (IFRRO) in response to troubling comments made by the Minister for Higher Education, Hélène David, on 9 December. 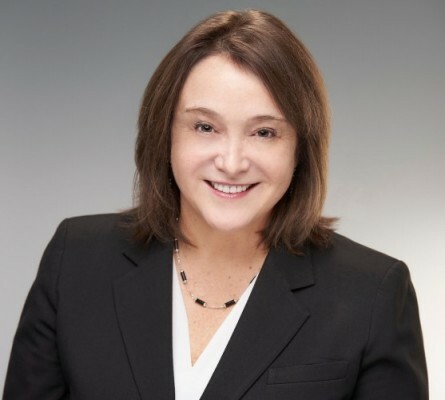 In response to a parliamentary question about whether as Minister of Higher Education and a former Minister of Culture, she would ‘send clear guidelines to Quebec universities to ensure that the creators are respected and that copyright is paid to them’, Minister David asserted that Laval University did things that are comparable (to those of Copibec), that are respectful of copyright, and that it acted ‘in accordance with the copyright principles of the federal government’. Copibec, which represents authors, creators and publishers, has been involved in a legal dispute with Laval University which in June 2014 implemented an internal copyright policy based on the refusal to pay royalties. The IPA wrote to the Higher Education Minister, putting the Prime Minister and Culture Minister in copy, reminding her of the importance of a national reproduction rights entity. What strategies for positive change have you tried in your workplace? The federal government is looking to boost the amount it contracts out to startups as part of its attempt to spur on Canada’s emerging technology sector and create economic growth. Ottawa earmarks just $30-million of its vast $18-billion annual procurement budget to buy new technologies from startups through its Build in Canada Innovation Program (BCIP). 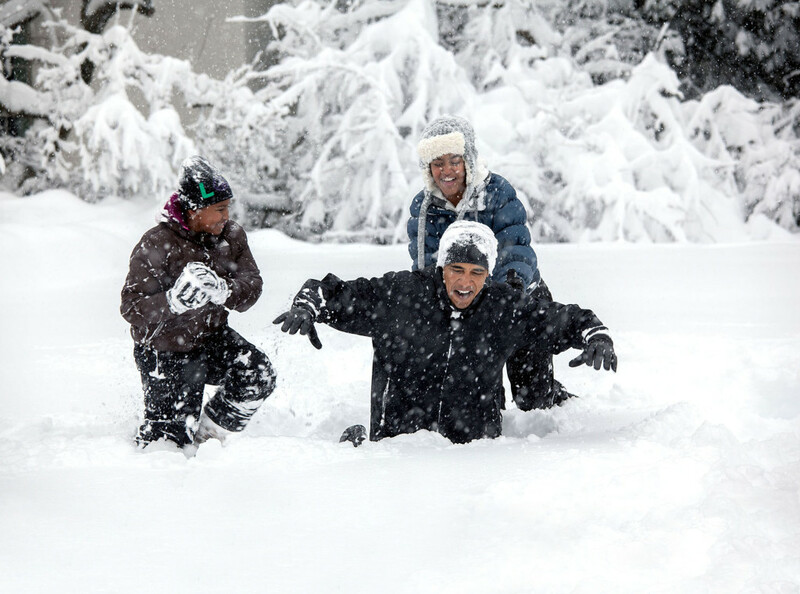 Tidings of discomfort and joy. Kudos to McCann’s Dave Leonard. In 2017 Canada celebrates its 150th anniversary. For a century and a half, one simple promise has been at the heart of Canada’s success: that here, everyone has an opportunity to build a better, more prosperous life. Educational technology is truly changing how students and professors engage with each other, says U of T Professor Susan McCahan. Why isn’t every college implementing similar programs given the simple fact that college continues to be too costly for our students? 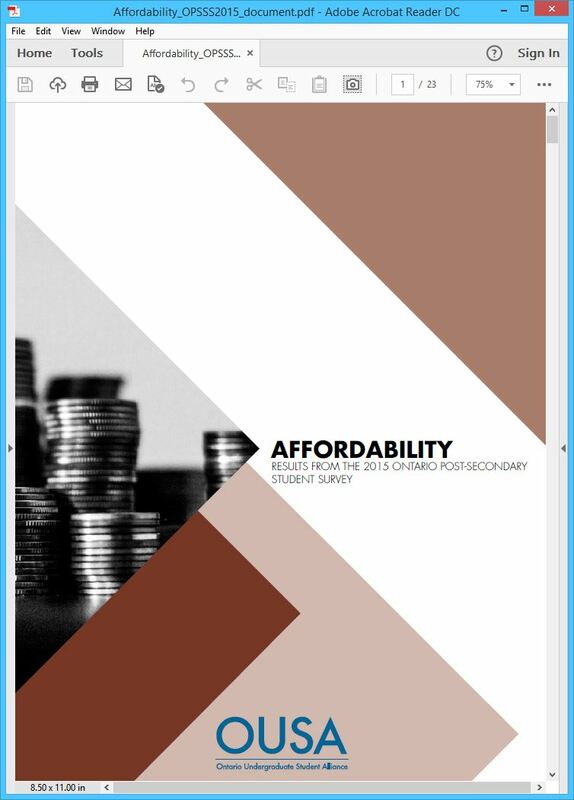 The University of West Florida recently expanded its Textbook Affordability Program after a successful pilot launch. The program, implemented by the Office of the Provost and the John C. Pace Library, aims to reduce student costs by ensuring access to course-required print textbooks. To date, the University has purchased one copy of every required print textbook for every section of 1000, 2000, 3000 and 4000 level courses and made them available for students to loan. If in the process of monitoring queues, a book is requested five times while on loan to another student, the library purchases a second copy of that book. Four out of five students say digital learning technology is contributing to improvements in their grades. Eighty-eight percent say their smartphones have been helpful for studying. 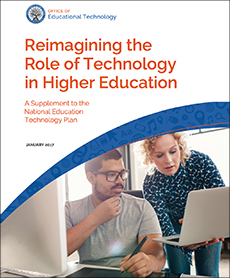 Most college students agree that digital learning technology should adapt to their unique way of learning (89 percent) and be individualized (80 percent). The majority of college students surveyed (61 percent) prefer to enroll in classes that use digital learning technology. Last week, a reporter from EdSurge reached out to me to shed some light on what Pearson called their Learning Design Principles. 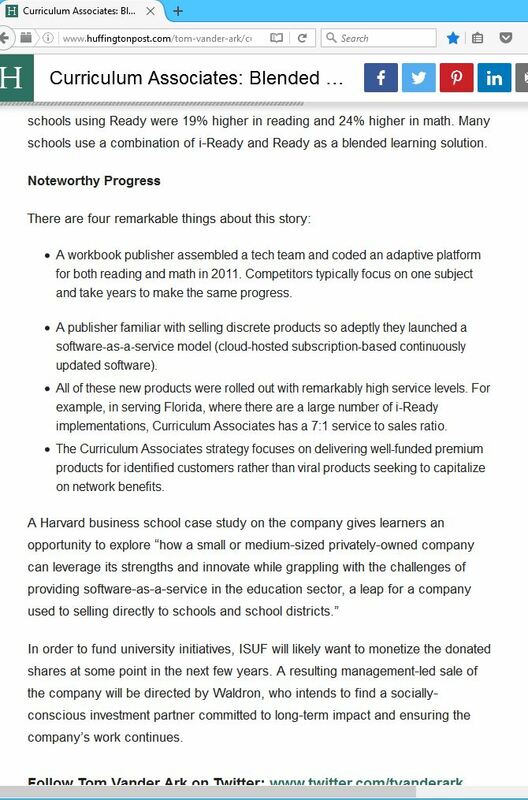 The EdSurge article is here, but below is a more detailed rough draft of the points that I made to share. I am posting them here for a fuller picture of some of my thoughts. Yes that’s right, it’s time to take a look at university websites and why they are perennially difficult and unpopular. For quite a while I’ve been meaning to write a post about this; it’s a problem that’s ongoing, and one that generates much wailing and gnashing of teeth among regular users of the sites, including current students and faculty. Yet it’s something that never seems to change, or if it does change, it’s merely “upgraded” to a system with new and equally infuriating flaws. So why are university websites often terrible? Or, to rephrase that, why are these sites apparently impossible to construct in ways that work for their users? Ryan Prichard, Knewton Chief Technology Officer, Assumes President and Acting CEO Position (New York, Dec. 20, 2016) – Noting that Knewton, the pioneering education technology company he founded eight years ago is now considered the “world leader in the adaptive learning industry” and “well on its way to achieving its mission of revolutionizing how students learn,” Jose Ferreira announced that he is stepping down as the company’s chief executive officer. Ferreira will remain on Knewton’s Board of Directors and help guide the company as it continues to grow. David Wiley once again launches into advocacy for the CC-by license. We’ve been through this many times, so I’ll keep it relatively brief. His text is italicized. > There is a growing consensus among those who work in open education that the Creative Commons Attribution (BY) License is our preferred license. No there isn’t. The list of organizations hasn’t grown over the years, and the number people from this list remains stable. A few links to descriptions of early examples of these principles as they have been applied in released products. 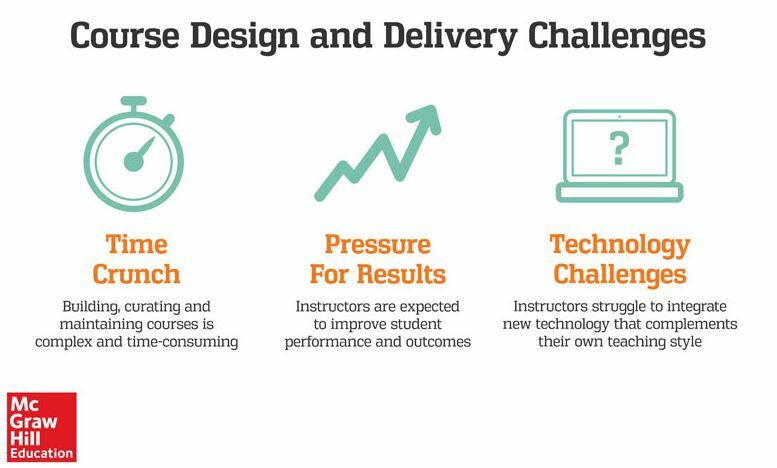 A blog post providing some more background and perspective by David Porcaro, Pearson’s Director of Learning Design, whose team is behind this effort. 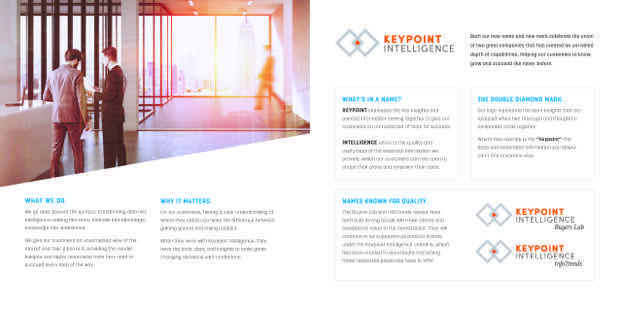 __Who is Keypoint Intelligence? 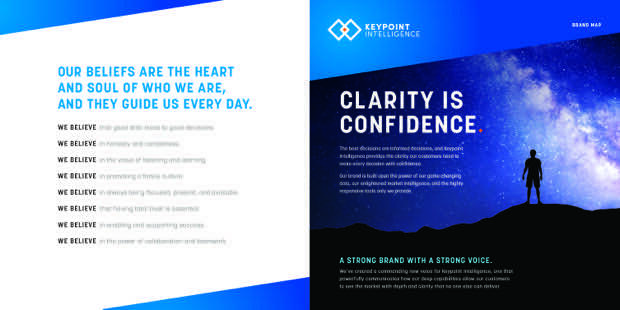 Keypoint Intelligence is a brand built upon two great companies, Buyers Lab and InfoTrends. __ Barb Pellow shares the journey that BLI and InfoTrends took to evolve into Keypoint Intelligence. It also outlines the steps that we will be taking to formally establish our combined brand in the market. Every branding process should start with reaching out to your customers to determine their thoughts and views about your company. Customers of both Buyers Lab and InfoTrends were asked to describe how they felt about the brands and what they perceived as the bene?ts and challenges of unifying the brands. What we learned is that both companies possessed high level of brand equity. In speaking to our customers, one of the key takeaways was that neither brand should be lost in the process. As a result, the members of senior management decided to establish an overarching brand that captured the essence of the combined companies, but kept the name of each intact as divisions of Keypoint Intelligence. Successful brands are aligned with their organizations’ short- and long-term strategies. Your staff members are a key resource for realistically defining your brand messaging based on your actual capabilities. Keep in mind that your brand promise needs to meet customers’ expectations. Understanding key points of competitive differentiation is critical to a brand. During this step, organizations must develop an understanding of where they are in relation to their competitors. We spent time developing our unique value proposition during this stage. When it comes to effectively positioning your brand, you must clearly identify what sets you apart from your competitors and use this as a guide for branding, marketing, and messaging. An essential step in brand development is creating a message map. For those unfamiliar with message mapping, it is a framework that is used to create compelling, relevant messages for various audience segments and for internal organizational alignment. Whether you are launching your company, rebranding, introducing the next big product/service, or preparing for other major marketing campaigns, messaging mapping is an important step in effective communication. WE BELIEVE that good data leads to good decisions. WE BELIEVE in honesty and candidness. WE BELIEVE in the value of listening and learning. WE BELIEVE in promoting a family culture. WE BELIEVE in always being focused, present, and available. WE BELIEVE that having total trust is essential. WE BELIEVE in enabling and supporting success. WE BELIEVE in the power of collaboration and teamwork. In addition, we identified two critical terms that should be associated with Keypoint Intelligence. The first is confidence. As a combined organization, we want our customers to feel like they are working with the most reliable and unbiased information so they can make the best decisions for their businesses. The second is partner. We want our organization to continually convey a deep understanding of our customers, their products, and their business objectives. A sharp focus on these areas establishes us as a true and meaningful PARTNER to our customers in every sense of the word. We want our customers to understand that they can trust us to always tell the truth, even when it’s tough to hear. We blend key insights with pointed information to give our customers an unrivaled set of tools for success. We are the best partner to be there at the moment of truth when critical decisions are made. Our branding messages are built on the premise that the market clarity and insight we provide will give our customer base a greater confidence in the decisions that they make. We want our customers to view us as a partner that goes deep beyond the surface—transforming data into intelligence, and testing into tools to give our clients a competitive advantage in the market. This step is where the pedal hits the metal in building out and activating your brand. It is the execution phase, and all of us at Keypoint Intelligence are in this phase now. We are currently updating our website, signage, business cards, and deliverable templates. Beyond the cosmetics of a rebranding, though, we are also uniting our strengths across the organization to meet our brand promise to customers and the greater industry that we serve. That means ensuring that we deliver intelligence to you… Keypoint Intelligence! Inaugural members of the Open Research Funders Group (ORFG) include the Alfred P. Sloan Foundation, the American Heart Association, the Bill & Melinda Gates Foundation, the Doris Duke Charitable Foundation, the John Templeton Foundation, the Laura and John Arnold Foundation, Open Society Foundations, and the Robert Wood Johnson Foundation. __A conversation about evolving content platforms and how designers are investigating new ways of connecting users with information. In today’s creative landscape, designers often face the tension of content vs. context. How does the user’s experience of a design influence the message, and vice versa? 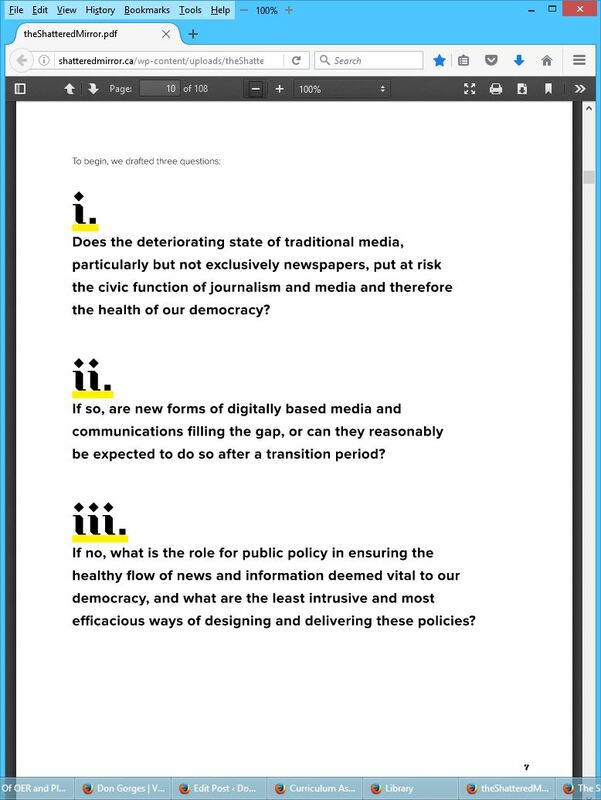 This conversation changes as technology evolves beyond traditional media and new methods of interaction are introduced, like virtual and augmented reality. Join a conversation about evolving content platforms and how designers are investigating new ways of connecting users with information. The Delhi High Court has ruled that there is no restriction on how much of a book can be photocopied, so long as course demands it. DU photocopy shop copyright row: HC rules in favour of Rameshwari printers; all you need to know – The Financial Express. Online and technology-enabled learning continues to evolve and grow providing increasing access and opportunities for learners to pursue education in flexible ways to meet their needs. In 2013, the Ministry of Advanced Education and Skills Development (MAESD) committed $72 million over five years to support the development of eCampusOntario and the provision of high quality online learning experiences for Ontario’s postsecondary students. online learning practitioners across the province. end of March 2018. This document represents a summary of this plan.